1. Make your own rabbit kit from Miko design, 2. Organic sleeping bunny pillow from All wild Co, 3. Bunny ears ring from Hide n seek, 4. Bunny plushie from Cheeky little beast, 5. Roughian - Rabbit art by Amber Alexander, 6. Set of 2 ceramic rabbits from Eco elements. Roni! I love the bunnies!!! 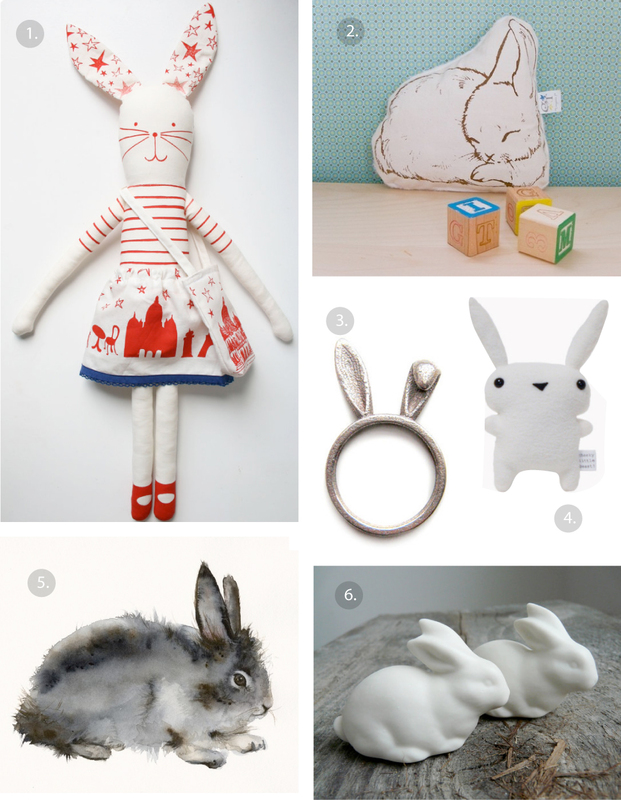 Thank you for including our ceramic rabbits!